Dance has taken over our life and when we are not at dance Groovy Girl is on my computer working on homework. 9th grade honors classes are pushing her and keeping her busy. School has me super busy as I'm constantly tweaking lessons and working with our young leadership team. In between and sometimes because of school I've been reading some great books. Hansen's 6th grade book club just finished The Birchbark House by Louise Erdrich. This book is underappreciated. A few libraries in our district don't even have copies! It is a beautifully written story of a young Ojibwa girl and her family as they rotate through the seasons. The accelerated kids in my book club thought it was interesting and the book brought forth a lot of discussion. At home I finished The Readers of Broken Wheel Recommend by Katarina Bivald; a fresh fun story about a young Swedish woman who travels to Broken Wheel, Iowa to meet her bookish pen pal. By the time Sara arrives her pen pal, Amy, has died. The very small town rallies around her and the results are often strange and bittersweet. I enjoyed this tale for its quirky cast of characters and all the book trivia. 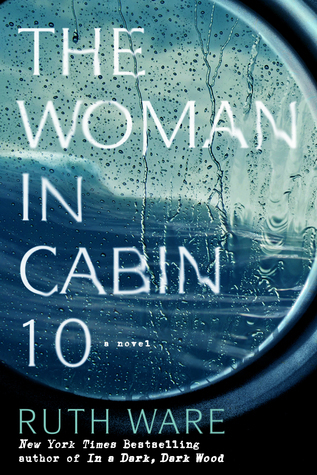 My husband and I sometimes read books to each other and we recently finished The Woman in Cabin 10 by Ruth Ware. This is a psychological thriller and I've seen a lot of up and down reviews. We enjoyed it and love trying to figure out where the story is going. This one kept us guessing for a few plot twists. Next up we are going to read a classic thriller by Nancy Price-Sleeping with the Enemy. I'll have to work harder to wrestle the computer away from her so I can write more before the month closes out.